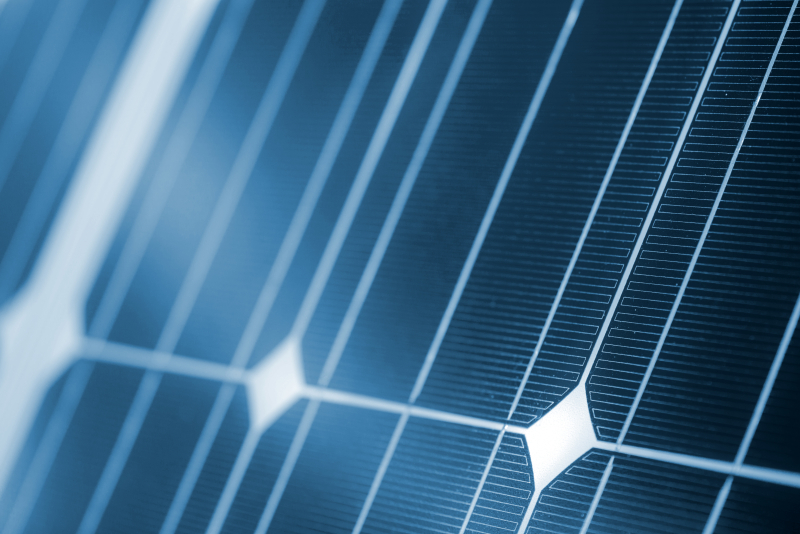 You are here: Home » Blog » What is a Solar PV Module? Knowing the component parts that make up a solar PV system can help you make great choices when it comes to buying your set up. Here, we’ll explain exactly what a solar module is and what you should be looking for in yours. Solar cells: The individual cells are shaped like irregular octagons, almost like squares with the corners cut off. These contain the technology to convert sunlight into energy. Inverter: Solar systems produce direct current, or DC, power, but in our homes, we use the safer alternating current, or AC. To convert the power type, an inverter is used which transforms it from DC to AC. Mounting system: You could have panels mounted in or on your roof, flat roof or on the ground, and for each type of mounting you will have specific kit including frames, rails, cables and more. Isolators: These enable the disconnection of power for safe maintenance of the system. Generation meters: You may have a basic output meter or one of the newer smart meters to monitor your generation. This will help OFGEM to calculate your earnings under the Feed in Tariff. Depending on the size and design of your system, you may also have battery storage, junction boxes and charge controllers, all of which serve to keep your system safe and efficient. If you’re not sure what any part of your system is, simply ask your installer for an explanation. A solar module is a group of individual PV cells which are connected into a group in a sealed, weatherproof package. Most people call these the solar panels, but the correct name for it is a module. The number of cells will depend on the output of the module. The number of modules you require for your installation will depend on your building, the capacity you require and the type of solar module you decide to buy. Typical solar module dimensions are just under 1m by somewhere in the range of 1.6m – 2m. Output varies by module but anywhere between 280Wp and 350Wp are not uncommon with current technology. ← How do I know when I should replace my boiler?